Mary M. Young, age 62, of McCool Junction, died Sunday, Nov. 20, 2016 in Lincoln. Mary was born Feb. 12, 1954 in York, to Robert and Betty (Garner) Grant. She owned and operated Coffee Beings for over ten years where she touched the lives and was touched by so many people. It was so much more than good coffee. It was a place to always find a friendly smile, an encouraging word, heartfelt joy and lots of good humor. Since her retirement her days were spent with family and friends. She was always busy, always a project in the works, but mostly spending time and helping the ones she loved most. She even got some traveling in. Mary was one of a kind. She loved to refinish furniture with chalk paint, loved a good day of shopping and following it up with returning it all! Mary enjoyed being around her family especially her grandchildren and she dearly loved Jesus. Her kindness and happy face were contagious and her spark will be carried on through her family. On July 28, 1989 she was married to William “Bill” Young at NebraskaCity. She is survived by her husband Bill of McCool Jct. ; daughters, Abbie (Mark) Kliewer of Lushton and Audra (Reuben) Starkey of Henderson. 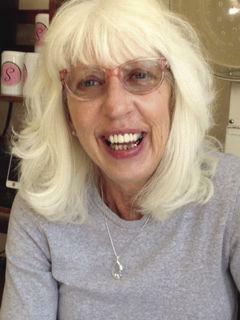 Her grandchildren include Ruby Kliewer, Siddalee Kliewer and Miles Kliewer. Also surviving are three brothers, William “Bill” Grant of McCool Jct., Allen (Teena) Rosenquist of Dannebrog and J.R. (Ronda) Rosenquist of Washington, Kan.; she is also survived by one sister, Melissa (Steve) Stanley of Whitehouse, Texas; father-in-law and mother-in-law, William (Christine) Young of Crofton, Ky. along with many nieces and nephews and a host of friends. She was preceded in death by her parents; step-father, William E. Rosenquist and an aunt, Helen Robinson.